Thank God that in most places, most states, it is still possible, as in Corpus Christi, for prolifers to stand at the entrance to the abortion clinic and offer loving counsel to women contemplating aborting their baby. But in liberal Massachusetts the Commonwealth has made it virtually impossible to talk to such women who are facing the greatest crisis they will probably ever face in their life. The First Amendment to the Constitution no longer means anything in America; freedom speech means only that you are free to talk to yourself, but be careful, don’t let anyone hear you. Murder is now a protected right; speech is not. 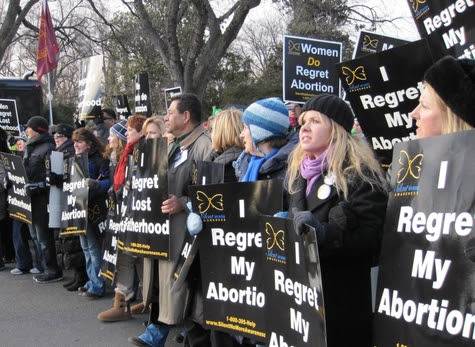 EVIDENCE THAT misery doesn’t love company is common at pro-life gatherings, where women holding poignant signs — “I Regret My Abortion” — urge others not to make a mistake that haunts them. As the US Supreme Court prepares to hear a constitutional challenge to the Massachusetts abortion-clinic “buffer zone” law this month, the justices are being reminded that the First Amendment protects more than just a speaker’s right to express ideas. It also protects a listener’s freedom to hear those ideas. Stifling that freedom near abortion clinics can mean — as 12 women argue, from personal experience, in a compelling friend-of-the-court brief prepared by Carrie Severino of the Judicial Education Project — that individuals in a crisis pregnancy are denied essential information at the moment they may need it most. But the practical effect of the Massachusetts law, which forces pro-life protesters, advocates, and counselors to stay at least 35 feet away from the entrance to any abortion clinic, is to make a reasonable exchange of ideas extremely difficult, if not impossible. The law, signed by Governor Deval Patrick in 2007, makes no allowance for peaceful or quiet protest. It doesn’t permit an individual to simply stand in silence, holding a sign or offering pamphlets. It forbids approaching even a willing listener who would like to hear — who might be desperate to hear — about a realistic alternative to abortion. The 35-foot boundary is marked with paint, and anyone who steps over it can be arrested, prosecuted, and sentenced to as much as 2½ years in prison. Meanwhile, prolife advocates are kept so far away that they have to call out to be heard — they can’t initiate a normal conversation, in a gentle voice with a reassuring smile. Yelling from a distance is rarely a good way to engage in a respectful dialogue about anything with anyone. It is surely not the best way to offer support and empathy to a woman on the point of getting an abortion. Even someone deeply ambivalent or anxious about ending her pregnancy is unlikely to respond well to messages shouted from 35 feet away. The result, not surprisingly, is that sidewalk counselors like Eleanor McCullen, the 76-year-old lead plaintiff challenging the Massachusetts law, are far less successful than they used to be at persuading women to consider alternatives to destroying their unborn baby. That, in turn, means more abortions — and more women who end up regretting them. Women such as Paula Lucas-Langhoff, whose story is one of those recounted in Severino’s amicus brief. Pregnant at 19, she was under pressure by her boyfriend to get an abortion. But the prospect filled her with trepidation. “The night before the abortion, I wandered the neighborhood looking for someone, anyone, that I could talk to who could help,” she recalls. She had been assured by the abortion clinic staff that the procedure would be “easy”; in fact it was physically excruciating and emotionally traumatizing. Abortion providers such as Planned Parenthood insist that “most women ultimately feel relief after an abortion.” But there are many women who are left with lifelong regrets, and who assert that they would never have chosen to have an abortion if only, at that last, critical moment, they could have received a different message. The Constitution protects their right to receive that message — whether the Commonwealth of Massachusetts likes it or not. 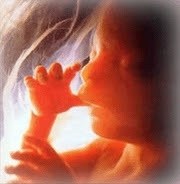 This entry was posted in Abortion, FREEDOM OF RELIGION, HATE SPEECH LAWS, INFANTICIDE, LIBERALISM, LIFE ISSUES, MORAL RELATIVISM, PLANNED PARENTHOOD, PRO-ABORTION POLITICIANS, ROE V WADE, SAVING CHILDREN, THE BOSTON ARCHDIOCESE, THE RIGHT TO LIFE and tagged Abortion, CARRIE SEVERINO, ELEANOR McCULLEN, GOVERNOR DEVAL PATRICK, JUDICIAL EDUCATION PROJECT, JUSTICE WILLIAM BENNAN, Massachusetts, PAULA LUCAS-LANGHOFF, PLANNED PARENTHOOD, THE FIRST AMENDMENT TO THE CONSTITUTION, THE RIGHT TO FREE SPEECH, THE UNITED STATES SUPREME COURT. Bookmark the permalink. Your Eminence, I am as sure as I can be that this will not stand. The U.S. Supreme Court has already heard a case concerning the very difficult ordeal that Rev. Paul Schenck went through a number of years ago. (He is a Catholic convert, one of those rare cases where a priest is married with family, and a large, wonderful family he has!) I wish I knew where to direct you to learn about his ordeal. I’ve heard of him speak of it in person. He has quite a story, arrested as a sidewalk counselor and falsely accused of several things. At the U.S. Supreme Court it was like David and Goliath, with Clinton sicking his best dogs on the case. The outcome was nothing short of miraculous. In any case, I think they’ve already said they will apply his case in this situation – thanks be to God. It is unfortunate for the latest people currently being dragged through the mud at great cost. Blessed Epiphany to you!